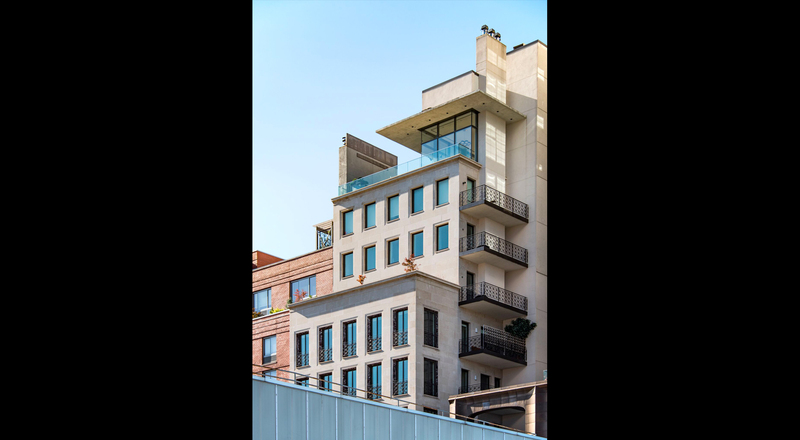 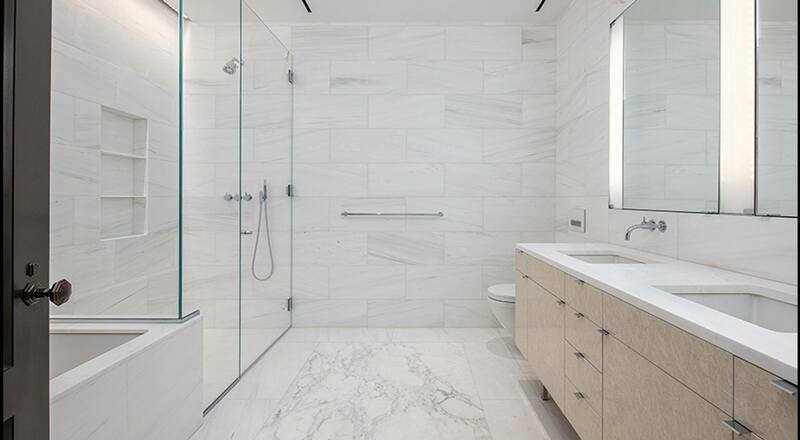 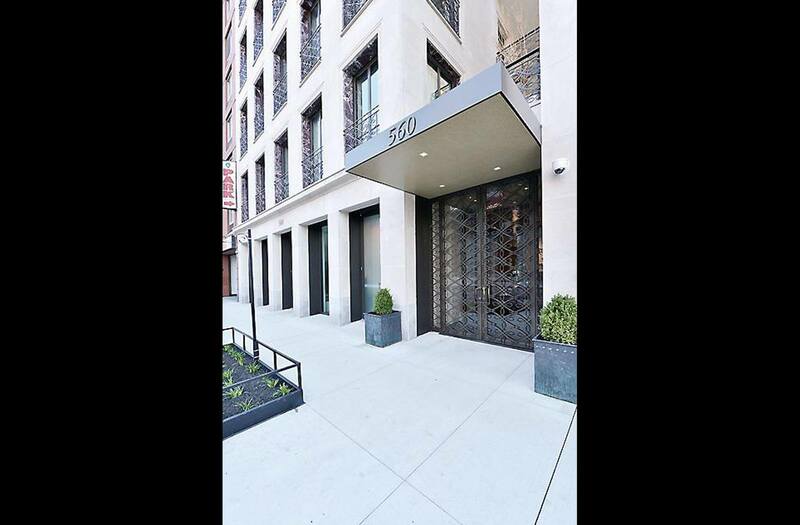 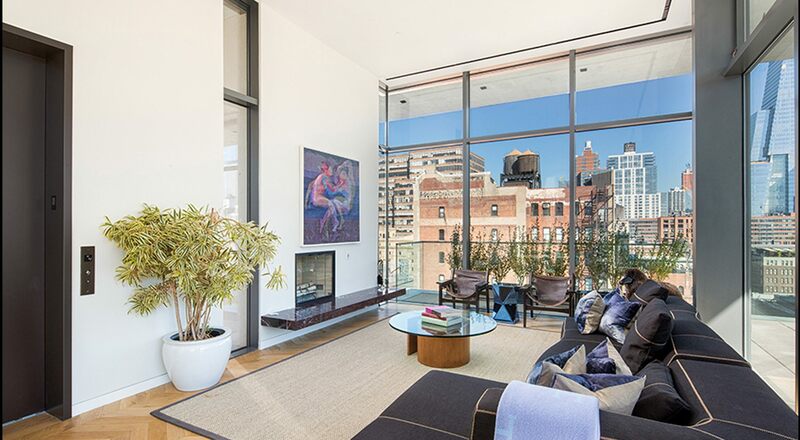 This ultra-luxury high performance, residential condominium building in the heart of West Chelsea along the HighLine, comprises 11-storys, 8-units, 40,000 square ft, including a ground floor high-end gallery space with 30 feet of frontage along West 24th Street. 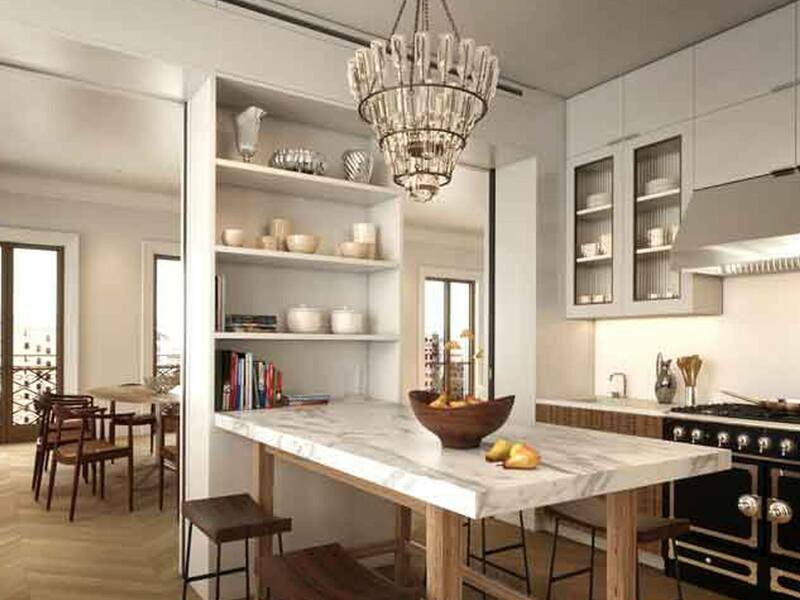 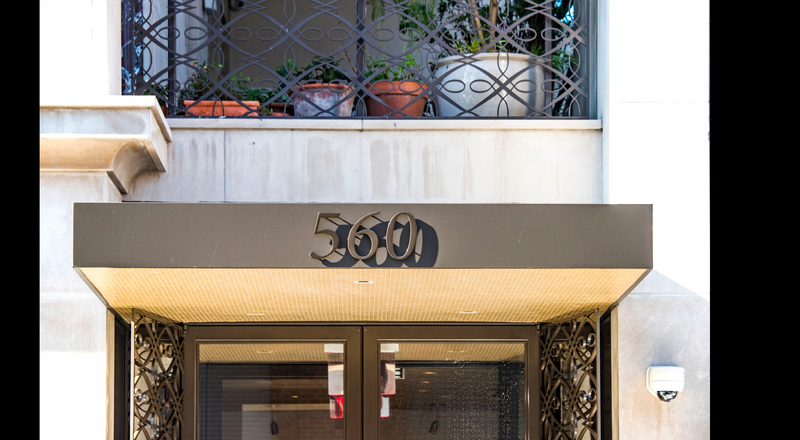 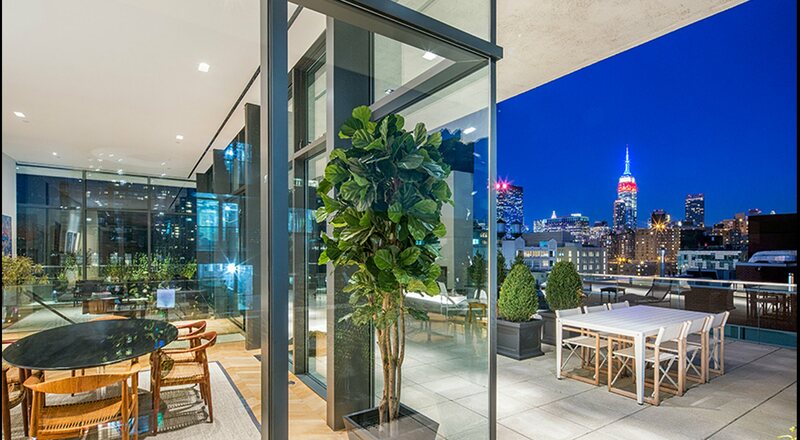 This is Architectural Digest 100 architect Steven Harris’s first new construction condominium project in collaboration with Adam Gordon and Tavros Development. 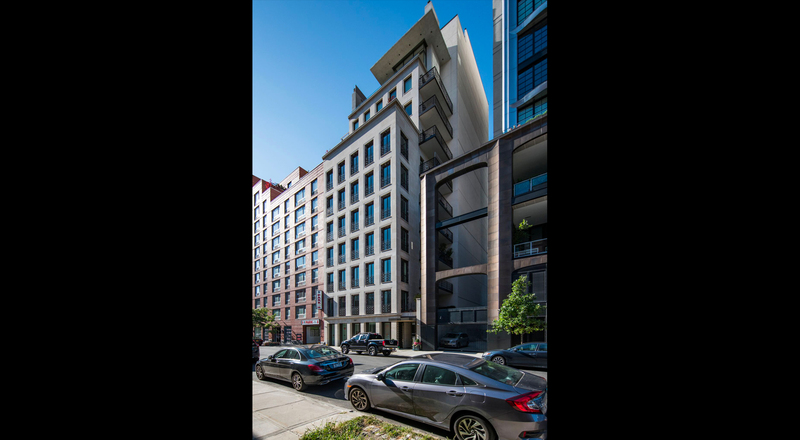 The building features extensive flood prevention solutions – incorporating a water tight bathtub foundation, stackable flood barrier for the street wall, submarine doors protecting mechanical and electrical systems and a back-up rooftop generator. 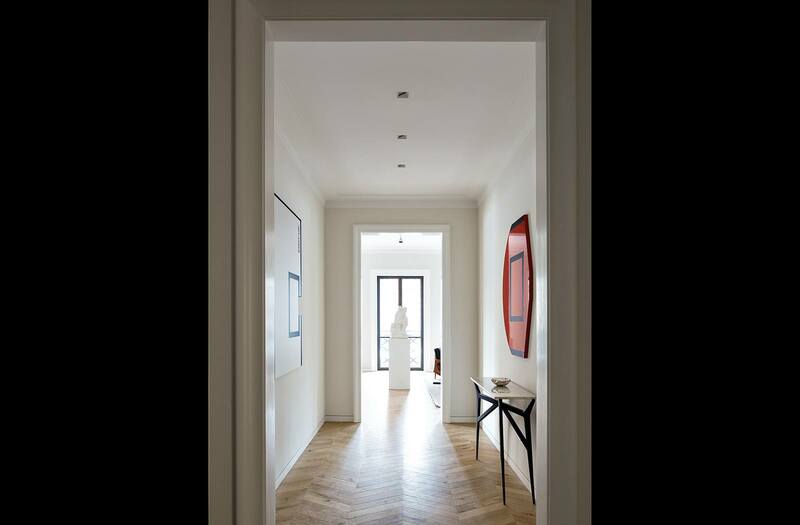 A classically proportioned formal entry foyer, European solid oak floors with a distinctive chevron pattern and substantial custom moldings give this full floor apartment gravitas and a highly tailored feel. 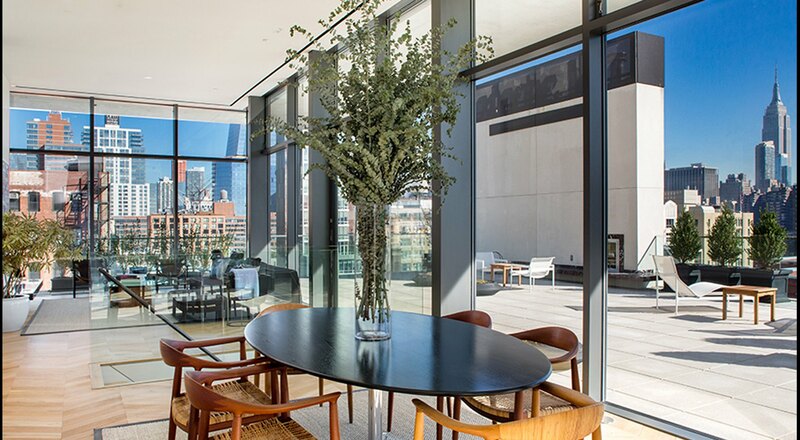 The living room/dining room spans the entire width of the building with ten-foot ceilings and six eight-foot-tall French door-style casement windows. 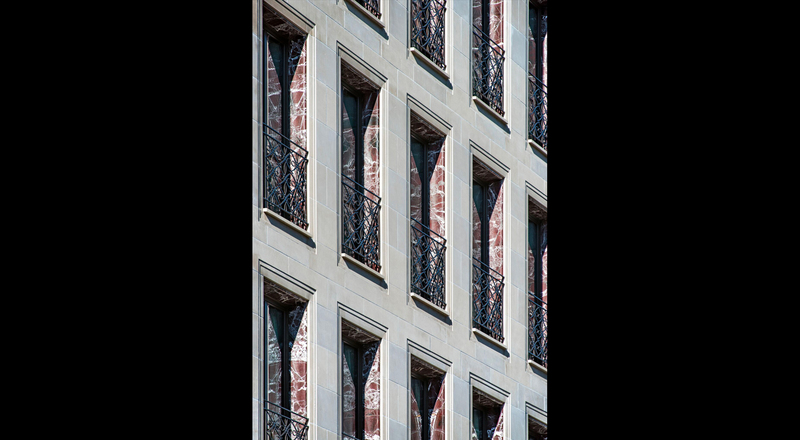 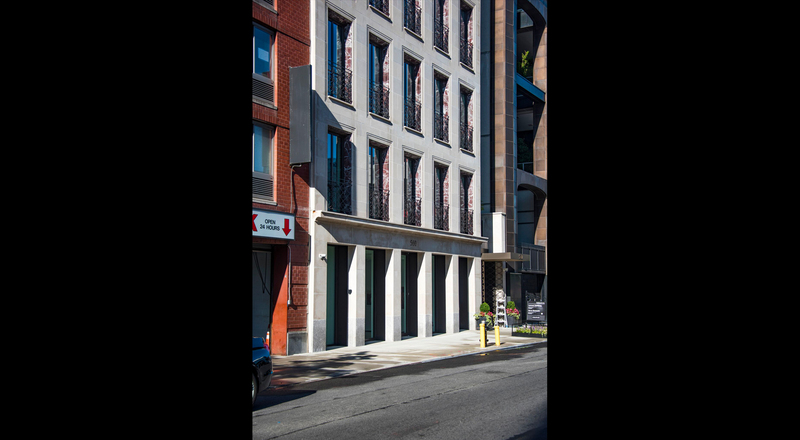 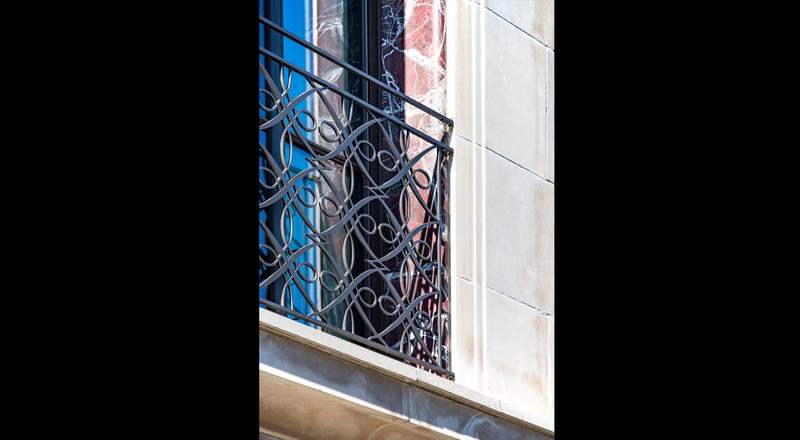 This building is clad in limestone with bronze framed French door-style casement windows with decorative bronze balustrades and exquisitely framed with a marble Tiffany-style molding detail.